- Publisher High-powered Boston attorney Emma Madison is celebrating her latest courtroom victory when she gets a call from a number she doesn't recognize. Area code 803-home.Home is Juneberry, South Carolina-eight hundred miles, twelve years, and a lifetime away from Boston-and Emma's father has had a serious heart attack. Emma rushes to his bedside, and a weekend trip threatens to become an extended stay. She has to work fast to arrange the affairs of his small-town law practice so she can return to her life and career in Boston.And then Michael Evans shows up. They'd shared hopes, dreams, and a passionate love as young college students during a long-ago summer. But Emma walked away-from Michael and from Juneberry-to finish college and start a new life. Michael has never forgotten her.Enveloped in the warmth of family and small-town life-and discovering that she still cares for Michael-Emma knows she'll have to make a choice between the career she's worked so hard to build and the love she left behind. High-powered Boston attorney Emma Madison is celebrating her latest courtroom victory when she gets a call from a number she doesn't recognize. Area code 803-home.Home is Juneberry, South Carolina-eight hundred miles, twelve years, and a lifetime away from Boston-and Emma's father has had a serious heart attack. Emma rushes to his bedside, and a weekend trip threatens to become an extended stay. 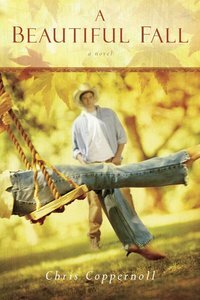 She has to work fast to arrange the affairs of his small-town law practice so she can return to her life and career in Boston.And then Michael Evans shows up. They'd shared hopes, dreams, and a passionate love as young college students during a long-ago summer. But Emma walked away-from Michael and from Juneberry-to finish college and start a new life. Michael has never forgotten her.Enveloped in the warmth of family and small-town life-and discovering that she still cares for Michael-Emma knows she'll have to make a choice between the career she's worked so hard to build and the love she left behind. Chris Coppernoll is the founder of Soul2Soul Ministries, with radio programming heard in more than six hundred outlets worldwide. He has conducted hundreds of interviews on faith issues with personalities such as Amy Grant, Max Lucado, Michael W. Smith, and Kathie Lee Gifford. He also serves as a Deacon at The Peoples Church in Franklin, Tennessee, and is currently working toward a Masters in Ministry Leadership degree through Rockbridge Seminary. Providence, his first novel, is his fourth book.